For those of you doing community outreach to motivate property owners to do wildfire mitigation both to protect their property and insurance, Colorado Wildfire & Insurance Guides are now available for distribution. The guides are a partnership effort sponsored by Colorado wildfire stakeholders including the Colorado Division of Emergency Management, Colorado State Forest Service, U.S. Forest Service, Bureau of Land Management, Colorado Division of Insurance and the Rocky Mountain Insurance Information Association. Contact molly@rmiia.org to pick up or order the guides at no cost. SAVE THE DATES - August 17-18, 2011 - for a foot-and-mouth disease tabletop exercise to be held in Denver by the Western Dairy Association and Dairy Management, Inc. For nearly 10 years, the dairy industry has been working closely with state and federal government leaders to prepare for a coordinated response in the event of a national food safety recall, food bioterrorism or a U.S. outbreak of foot-and-mouth (FMD) disease. In 2011, the industry's crisis trainings will focus on FMD preparedness and response and a part of that training will be taking place in Denver. A U.S. outbreak of FMD will significantly impact milk processing and manufacturing, and consumers are likely to have concerns and questions about the safety of milk and dairy products. This Colorado-located training will be a great opportunity to share private sector, government and partner agency response plans, to work closely with peers to strategize the industry's response, and hone communication planning and coordination. Attendance will be accomplished through formal invitation and registration information will be available soon. Anyone interested in participating should contact Angel Aguilar, Ph.D., Western Dairy Association, Director, Producer and Industry Relations at (720) 356-3180. Colorado Voluntary Organizations Active in Disasters (COVOAD) held elections for its officers at its annual meeting this past March. The Chair, Co-Chair and Secretary positions were all up for election. The COVOAD membership elected Deborah Foote (formerly Colburn), of the Colorado Veterinary Medical Foundation, to serve as the new Chair for COVOAD. Kristy Judd of Metro Volunteers was elected to fill the position of COVOAD Secretary. Elizabeth DiPaolo from the Mile High Chapter of the American Red Cross was re-elected as Vice Chair. Sherry Manson of The Salvation Army, who just completed the first of a two year term, will remain on as Treasurer for COVOAD. COVOAD would like to thank Michael Bright (former Chair) and Tracy Hays (former Secretary) for their years of service to COVOAD! Thanks! to Jen Poitras (poitras_consulting@me.com) for the COVOAD update! The Division of Emergency Management is hosting a workshop and tabletop to discuss the planning challenges and opportunities associated with individual access and functional needs. The disability community will join us for this discussion, giving all participants the opportunity to review, revise and finalize plans related to evacuation, shelter-in-place and mass care scenarios. The workshop/tabletop will be held on Friday, July 15, 2011 from 8:00 am - 5:00 pm at the Red Lion Hotel, 4040 Quebec Street, Denver CO 80216. Register on CO.Train at http://co.train.org/ (Course ID: 1027873). Hotel rooms will be provided the night before for those travelling over 50 miles to attend. Contact Lori Hodges (lori.hodges@state.co.us) if a hotel room is needed. Who should attend? Local, State and Federal Emergency Managers, Disability Managers, Public/Mental Health Agencies, Human Services/Housing Agencies, Non-Profits, Voluteer Organizations Active in Disaster Community. For any questions, contact Lori Hodges (lori.hodges@state.co.us) or at (303) 656-5023. The return of warmer weather to Colorado also means the return of tornado and hail season. Colorado has a long history with tornadoes. As with all weather-related advisories, watches and warnings, the central info source for Colorado severe weather watches, warnings, reports of hail and tornado warnings is the National Weather Service Colorado Page . For the latest weather developments, be sure to check with the National Weather Service - Colorado Watches, Warnings and Advisories page. Too, the best way to get alerted about emergencies in your area is by monitoring a number of local Colorado alert systems/sources, including NWS Colorado Weather page, listening to your local NOAA Weather Radio station (you can even listen to some of the stations online or with your mobile phone if you do not have a receiver capable of receiving NOAA stations), following local media sources or signing up for your community's local alert systems. While systems exist to identify conditions likely to produce tornadoes (which are often also accompanied by hail), tornadoes can strike with very little warning. As a result, it is paramount to be aware of advisories, watches and warnings, but it is also imperative that you maintain a good awareness of weather conditions in your immediate area. Stop driving. If you can see a safe place close by (like inside a garage, under a highway overpass, or under a service station awning), drive there as soon as you can. Make sure you pull completely off the highway. Do NOT leave the vehicle until it stops hailing. Your car will furnish reasonable protection. Stay away from car windows. Cover your eyes with something (like a piece of clothing). If possible, get onto the floor face down, or lie down on the seat with your back to the windows. Put very small children under you, and cover their eyes. Stay inside until the hail stops. Stay away from the windows, especially those being struck by hail. Do not go outside for any reason. Large hail can cause serious or even fatal injuries. Avoid using phones and electrical appliances during a severe storm to avoid the danger of electrocution from lightning. If you are caught outdoors, seek shelter immediately. If you can't find something to protect your entire body, at least find something to protect your head. Trees are a last resort. It is common during severe storms for trees to lose branches. Also, large isolated trees attract lightning. For more on preparing yourself and your family for disaster, be sure to visit READYColorado. Just in from our partners at the Federal Emergency Management Region 8, FEMA is conducting several Colorado-based Assistance to Firefighter Grant Program 2011 Training Sessions. FEMA Region 8 Fire Program Specialist Ted Young will present training sessions about the Assistance to Firefighter Grant Program. Session participants will learn about how this program can help fire departments get money for needed resources including: equipment, protective gear, apparatus, training, and more. FEMA reps indicate the training lasts a couple of hours and there will be ample time for questions. Attendees do not need to pre-register. 6:30 PM Fairmount Fire Station 1, 4755 Isabell Street. 9:00 AM Westminster Fire Department Public Safety Building, 9110 Yates Street. 6:30 PM Berthoud Fire Department Community Center Building, 275 Mountain Ave. The primary goal of the Assistance to Firefighters Grants (AFG) is to meet the firefighting and emergency response needs of fire departments and nonaffiliated emergency medical services organizations. Since 2001, AFG has helped firefighters and other first responders to obtain critically needed equipment, protective gear, emergency vehicles, training, and other resources needed to protect the public and emergency personnel from fire and related hazards. 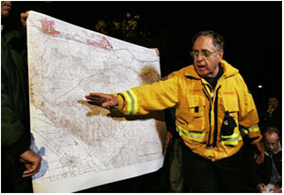 The Grant Programs Directorate of the Federal Emergency Management Agency administers the grants in cooperation with the U.S. Fire Administration. Visit http://www.fema.gov/firegrants or call the FEMA Help Desk at 1-866-274-0960. The Baca County Commissioners Office is accepting applications for an Emergency Manager to for the Baca County Division of Emergency Management. The job requires good communication skills, radio and computer skills. Also important is the ability to work with the various fire departments, EMS and law enforcement agencies to assist with some day to day operations and to pursue grant opportunities. Previous emergency responder, military, or law enforcement experience will be considered. Salary will be based on skills and experience. Baca County is an equal opportunity employer. Anyone with questions is encouraged to call the Baca County Commissioner's Office at 719-523-6532. This 2-day workshop includes the Disaster Mitigation Act of 2000, which amends the Robert T. Stafford Disaster Relief and Emergency Assistance Act. The Mitigation Planning Workshop for Local Governments course assists representatives of local communities or multi-jurisdictional planning areas to develop a mitigation plan that meets community needs as well as the Section 322 local government planning requirements as described in 44 CFR Section 201.6. This workshop explains each of the requirements, demonstrates how FEMA's new Mitigation Planning How-to-Guides can be used to address each requirement, and provides opportunities to begin the planning process in group activities with representatives of the same community or planning area. Durango, CO 81301. Registration is being handled through CO.Train at http://co.train.org - search for Course ID: 1026644. The target audience is any persons whose jobs require mitigation activity or planning or those seeking Advanced Professional Series certification. For more information, contact Robyn Knappe - robyn.knappe@state.co.us - (720) 852-6617. 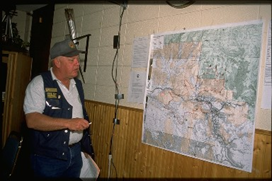 The Northwest All-Hazards Emergency Management Region will be hosting an ICS-300 class on August 4-5, 2011. The training will prepare individuals to act as a member of an Incident Management Team and Multi-Agency Coordination Group as directed by the new National Incident Management System standards. The class will be held at the Historic Routt County Courthouse, Board of County Commissioners Hearing Room, 522 Lincoln Avenue, Third Floor, Steamboat Springs. The class will be held from 8:00 am - 5:00 pm both days. Attendance for the entire class is required for certification. NOTE: ICS-300 is a prerequisite for this course. Registration is being handled through CO.Train at http://www.co.train.org. This course, G272 Warning Coordination, is the latest in the hazardous weather series of courses produced in partnership with the National Weather Service (NWS). Every year the United States experiences more severe weather than any other country in the world. In order to reduce deaths, injuries, and property losses, emergency managers must work closely with the NWS and the news media to provide effective warnings that can be received and understood by people at risk. This course is intended to help facilitate that process. Course topics include The Social Dimensions of Warning Response; Developing Effective Warning Messages; Developing an Effective Community Warning Process; and Working with the News Media to Create a Weather Warning Partnership. In addition to lecture and discussion, the course includes case studies and exercises. The following article, by our Senior Division Advisor, David Holm, was recently published in the International Association of Emergency Managers (IAEM) Bulletin. Risk of economic harm to the volunteer by loss of salary, employment, benefits or seniority due to their service. Each of these categories can be addressed and minimized/eliminated by taking proper actions before an emergency. If your jurisdiction has laws allowing such coverage, acquire a policy and fund the premiums to cover your volunteers. It is amazing how inexpensive it can be and it may fund legal defense costs. Public responsibility for damage to a volunteer’s property is usually limited to personal property they would forseeably use in performing their duties, or which they have been requested to use by the agency. Define and limit personal property used by the volunteer. Wherever possible, provide agency property for them. If they will be using personal motor vehicles, review their insurance to ensure their volunteer service will not disqualify their property damage, bodily injury nor liability insurance. If they must use personal equipment, assure that the agency insurance policy will cover loss or damage or that the volunteer signs assumptions of risks/waivers of liability for personal equipment loss. Although courts tend to see if they can avoid holding volunteers and governments liable for actions taken in good faith during emergencies, judgments have been handed down in such events. While proper training, equipping, supervision, guidance and oversight can go a long ways towards avoiding liability, many states and localities have enacted some form of sovereign immunity. They then extended that immunity by making acts taken under color of disaster laws the responsibility of the state or other government entity, shielding the volunteer and placing any potential legal burden on an entity with access to government attorneys, i.e. Colorado Revised Statutes 24-32-2301 to 2304 [http://www.michie.com/colorado/lpext.dll/cocode/1/3c208/3dc15/3e358/3ea3f/3ea4f?fn=document-frame.htm&f=templates&2.0#]. If your jurisdiction has such laws, utilize them. If it doesn’t, get some enacted. The volunteers on a fire, flood, search and rescue mission, debris clearance, sheltering or any other emergency mission are protecting us, often at risk of their livelihood, health insurance, career position etc. We owe them protection in return. In 2008, Colorado passed (unanimously except one no vote) an act providing protections to those who volunteer their services in a large scale emergency (http://dola.colorado.gov/dem/volunteer/volunteer_leave.htm ). The act provides for 15 days of leave when a volunteer is called to work by a qualified organization for a qualified emergency, paid leave for government workers and unpaid for the private sector. It provides that no such volunteer can lose seniority, rank, benefits, retirement credits etc. so long as they follow certain procedures. Any government entity can certify a volunteer organization they work with for such protection. Volunteers we all depend on no longer risk their livelihood by volunteering. In order to keep a vibrant, essential corps of volunteers in emergency management, we need to take steps to protect them (and their government agencies) from some of the harms inherent in a disaster emergency situation. NOTE: This article previously appeared in the IAEM Bulletin and is being reprinted with the permission of the International Association of Emergency Managers, www.iaem.com. The following article, by our State Plans Officer, Kerry L. Kimble, CEM, with the Colorado Division of Emergency Management previously appeared in the International Association of Emergency Managers (IAEM) Bulletin. “However, in a major disaster, when the disruption threatens the public health safety or welfare, or when the energy industry turns to a state or local government for assistance, that is when these energy assurance plans are intended to be used. In addition, efforts to protect critical energy infrastructure and build its resilience is the goal of the National Infrastructure Protection Plan” . Within Colorado, the Governor’s Energy Office (GEO) has partnered with the Public Utility Commission and the Division of Emergency Management in an effort to encompass the energy industry with the emergency management community, who is responsible for dealing with eth consequences when an extended interruption occurs. The overall process has also involved meetings with stakeholders, conducting an intra-state and inter-state tabletop exercises, culminating in a validated energy assurance plan. As a result of such large-scale incidents as the 1973 Oil Embargo, the 2003 northeast blackout, 2008 Hurricane Gustav, people’s lives are negatively impacted. While the energy industry mobilizes to restore lifelines, the emergency management community responds to mitigate the cascading effects of the interruption. Some of these effects could be: (1) need for temporary sheltering / housing; (2) medical treatment (for example chemotherapy); (3) eight-hour battery life on home care units; (4) non-access to needed drugs; (5) transport of feed for livestock; (6) and many others. Besides affecting the immediate impact area, disasters can also disrupt individual facilities which can have a regional or national impact. Over the years, many critical facilities have acquired back-up generators to deal with potential electrical disruptions. However, how many times have these generators been tested or have failed when needed? In June 2010, an electrical sub-station exploded. This sub-station was the direct feed for a local hospital. Their back-up generator immediately kicked in and subsequently failed. This resulted in the immediate evacuation of the hospital’s critical-care patients, which was coordinated through the County’s emergency management office. If a situation like this were more widespread, the GEO partnership has worked to develop a recommended draft prioritization list of critical infrastructure facilities that need to be restored if power can not returned within a reasonable amount of time. (Our definition of reasonable amount of time is 4-6 hours.) Generally, it appears that this floating window is appropriate before Emergency Management gets involved in the prioritization process. Recognizing that government can not dictate to the utilities when and what areas are to be fixed. But, through our mutual partnership, with the goal of serving the public, suggestions / recommendations can be made. The selection of the 4 – 6 hour timeframe was based upon the fact that home life support systems typically have 8 – 12 hours of battery life, so that requires some lead time to get needed power to a particular geographic location before the batteries run out of electrical power. If electricity can not be restored, then maybe a portable generator can be used. The unique aspect of this process was the inclusion of the new Smart Grid and Distributed Generation technologies. Since these are more network centric, they are more susceptible to cyber attack. So, these human-caused incidents could be more destructive than natural hazard incidents resulting in a more potentially longer-lasting outage. Ultimately, the planning effort will be twofold: first, the publication of a comprehensive Energy Assurance Emergency Plan that will provide the framework for minimizing the impact of energy disruptions. And second, when a disruption does occur: the roles, responsibilities, and procedures outlined in a Utility Disruption Incident Annex to the State Emergency Operations Plan can be activated to respond to the basic needs of a jurisdiction’s residents while repairs are underway. Registration for the 3rd Annual Volunteer Capacity Building Workshop on June 3, 2011 in Breckenridge, CO is now open. Advance Registration is required through CO.Train at https://www.co.train.org/DesktopShell.aspx. The Course ID number is 1027034. This FREE one day volunteer capacity building workshop is for Community Emergency Response Team (CERT); Citizen Corps Council volunteers; VOAD's; Medical Reserve Corp (MRC); Colorado Volunteer Mobilizer (CVM); and Red Cross volunteers. The day long workshop includes more than 25 one-hour training/educational sessions and an opportunity to participate in an exercise. Breakfast and lunch are provided to volunteers participating in the workshop. If you have any questions, contact Kristen Campos at kristen.c.campos@gmail.com or Koral O'Brien at koral.obrien@gmail.com. This workshop is sponsored by the Colorado Department of Public Health and Environment, the Colorado Citizen Corps Program, and Denver Paramedics. A special hotel rate is available for attendees (no direct funding is available) at the Beaver Run Resort and Conference Center. Reservations can be made online at www.beaverrun.com and the password is VCW5SK. 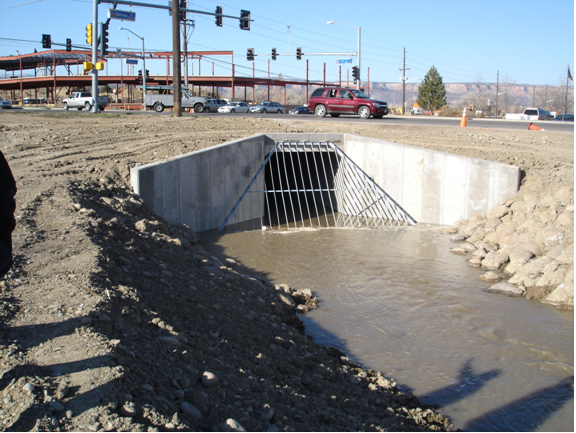 The DEM Mitigation Team has opened the application period for 2011 State Hazard Mitigation Program (SHMP) grants. Awards are subject to the availability of funds through the Colorado Division of Emergency Management. We encourage jurisdictions without a local hazard mitigation plan or those needing to update a plan to use this opportunity to assist in plan development. All local entities applying for pre- or post-disaster FEMA Hazard Mitigation Assistance program grants must have a FEMA approved local hazard mitigation plan to be eligible. The Mitigation Team is soliciting Grant Applications for this program until close of business on Friday, June 3, 2011. Grant applications must be filled out by the local emergency manager. Please take a look at the 2011 State Hazard Mitigation Program Announcement Letter for more details on how to apply. For questions or comments, contact Scott Baldwin, Mitigation Assistant, at scott.baldwin@state.co.us or 720-852-6696.